Home / General / What Are the Benefits of Barcode Labels? Barcodes are not just for use at the check-out counter when you’re buying groceries: This simple, decades-old technology has become more popular in recent years and is now one of the most widely used organizational building blocks across all businesses and industries. Whether you’re a business owner looking to upgrade your company’s supply chain management system due to unnecessarily high holding costs, or a hospital administrator who recognizes that your current method for administering medicine is outdated or ineffective, you can look to barcodes which are shockingly simple to utilize, easy to produce and versatile in their capabilities. Barcodes are not just for use at the check-out counter when you’re buying groceries. 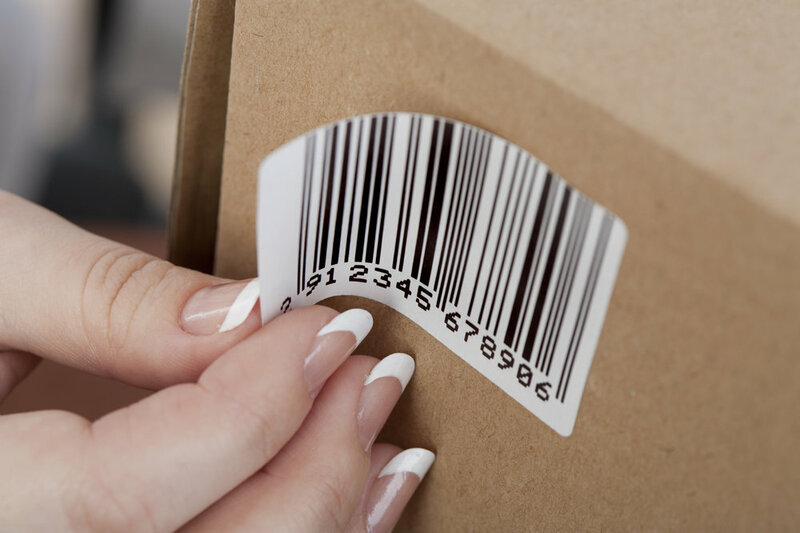 Not only are barcodes themselves important to understand, but the use of barcode labels, printable barcodes that can be applied to a variety of product surfaces under many different conditions is what pushes an organization’s productivity over the top. There are two main types of barcodes: linear (or traditional) barcodes and 2D barcodes (such as QR codes). Linear barcodes hold one piece of information normally an identifying number that the company’s central database uses to find product information, such as price and remaining quantity. 2D barcodes can hold way more data, including the price and quantity but also photos or links to web pages for related information. Employees use barcode scanners, mobile computers or smartphones to connect the company database wirelessly or through bluetooth to their warehouses or other remote locations. Technology: The basic types of printer technology are dot matrix, ink jet, laser and thermal. While the first three types provide “fair” value at the expense of high maintenance costs and waste, thermal creates better quality barcodes with less environmental impact. There is both direct thermal (made with chemically treated materials) and thermal transfer (which utilizes a thermal print head to melt ink for a long-lasting barcode). Materials: Will you print your barcodes on paper or synthetic materials? If synthetic, will you use polyester, long-life acrylic, or another material to create a long-lasting label? Will you create stock labels or print custom labels for every application? These questions are crucial and bring you to the next factor. Scope: Small businesses can use desktop printers for small-scale jobs; hospitals use wristband printers to produce wearable barcodes for patients; warehouses usually invest in industrial printers to create the thousands of barcodes necessary to keep up with production; and so on. While the two main categories are desktop and industrial, there are subsets within those as well, including two- or four-inch desktop varieties. DIY: It’s possible to design and create barcodes yourself, depending on the needs of your business. However, some companies find that outsourcing that responsibility is either necessary or preferred. Determine how you’ll be utilizing your barcodes before going one way or the other. 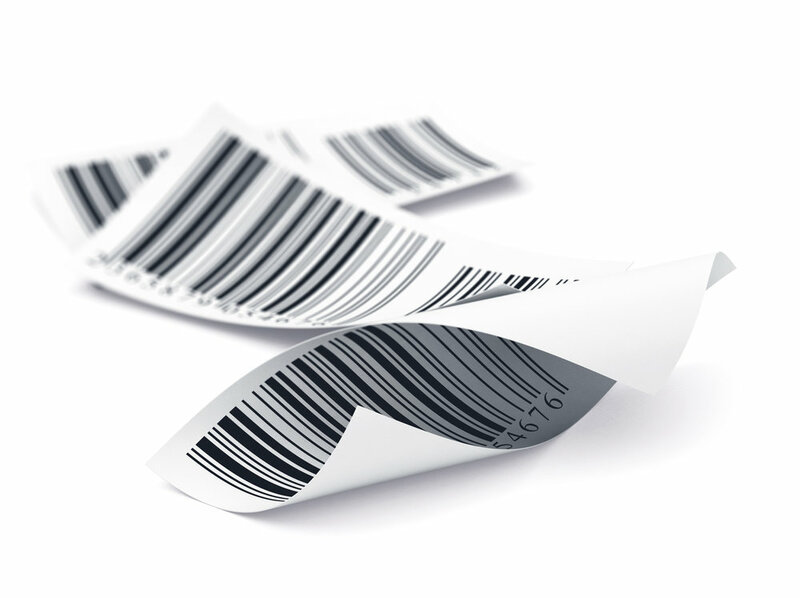 What are the Benefits of Barcodes? Accuracy: For both inventory and asset management, businesses that rely on manual processes constantly find that they’re running at less than peak efficiency and losing money unnecessarily. Excel spreadsheets are rife with errors, one typo per every 300 characters as opposed to one in every 36 trillion for barcode scanners, that lead to unnecessary re-orders, stock-outs and ghost assets (assets that appear on the general ledger but are missing or unusable), which can kill profits. Time management: The time it takes to conduct quarterly or year-end assets by going through spreadsheets should be spent on important tasks. Employees end up wasting their time chasing down ghost or zombie assets, scanning shelves for misplaced inventory or finding their managers to manually override an error. Accountability: Unfortunately, employee theft is a real threat to assets (such as laptops) and inventory, a barcode system adds a layer of accountability that a manual check-out system can’t match. Are Barcodes a Good Fit For My Business? Hospitals: 2D barcodes are a great choice for labeling small vials, medications and packets with pertinent information, crucial for patient safety, and can be used in novel ways such as keeping track of newborns in the nursery. Schools and universities: Barcodes attached to assets reduce the time needed to conduct year-end audits and eliminate ghost assets from accruing. Financial institutions: In banking, hundreds of inventory items need to be accounted for, and a barcode system can streamline ordering and receiving, reducing unnecessary reorders and costly write-offs. Government agencies: Asset management is crucial for organizations whose money for assets are dependent on keeping accurate records of asset locations and statuses. Entertainment facilities: Businesses that require lots of front-end inventory (such as Top Golf or bowling alleys) can’t afford to have inventory go missing or stop working without warning, customer satisfaction will take a brutal and sometimes fatal hit if so. Advertising: Use QR codes to interact with potential customers in interactive and inventive ways, transport them to a new web page, capture their location or offer them coupons or deals that are accessed by scanning with their smartphone. Barcode technology is pliable enough that its uses are only limited to the needs and imaginations of businesses that utilize them. They can be used for jobs as basic as helping to trace the movement of inventory from its genesis as raw materials to a finished product, or a way to track employee productivity using key performance indicators. Now that designing, printing and applying barcodes via label printers is easier than ever, businesses that adopt this technology will have a decided edge on those who still refuse to make the jump. How would adding barcode labels to your inventory save your employees time?